Popular Tibetan singer Gepe was arrested after singing in a music concert. Screen shot from YouTube video. Gebey, a Tibetan singer who had been detained at the end of May following a live performance in Ngaba Prefecture, eastern Tibet, has been released from detention . Gebey (sometimes spelled Gaybay or Gepey) has chosen a dangerous profession in Tibet – he has been arrested and re-arrested for his music many times in recent years. Tibet, which has been under Chinese control for over 60 years, has seen large scale uprisings against Chinese rule as recently as in 2008. These, combined with ongoing self-immolations which have taken place all over Tibet as a form of political protest since 2009, have resulted in frequent heavy military lockdowns and routine blocks on communications . Tibet is an area the size of Western Europe, without a single foreign journalist stationed, no diplomatic representations, restricted access to tourists, no free media, and heavily censored internet. Even though China officially only refers to the area of central Tibet as Tibet Autonomous Region, Tibetan areas that are now integrated into the Chinese provinces of Sichuan, Gansu, Qinghai and Yunnan are often the epicenters of resistance to Chinese rule. Even so, censorship and imprisonment of cultural figures extends to all areas of Tibet. It is amongst this backdrop that the singers, artists, and writers in Tibet today have to work. Despite all of these restrictions, Tibetan cultural expression is flourishing today. Gebey is just one example of an impressive output of new songs, singers, music videos and live performances. Today, victory to an auspicious day! Today, wish-fulfilling day, victory to Tibet! For the reunification of Tibetans, home and abroad, victory to us! Artists in Tibet have to tread an incredibly fine line in their creativity and artistic expression. The themes that inspire great artistry are often also the most politically loaded. This has been the case with several artists, including young singer Lolo, who was sentenced to six years in prison in February 2013  following the release of his album Raise the Tibetan Flag, Children of the Snowland, which carries politically charged lyrics that refer to the banned Tibetan flag, self-immolations and Tibetan independence. In March 2012, Radio Free Asia reported a story about the detention of Ugyen Tenzin, a young singer from eastern Tibet who released an album titled, An Unending Flow of My Heart’s Blood. 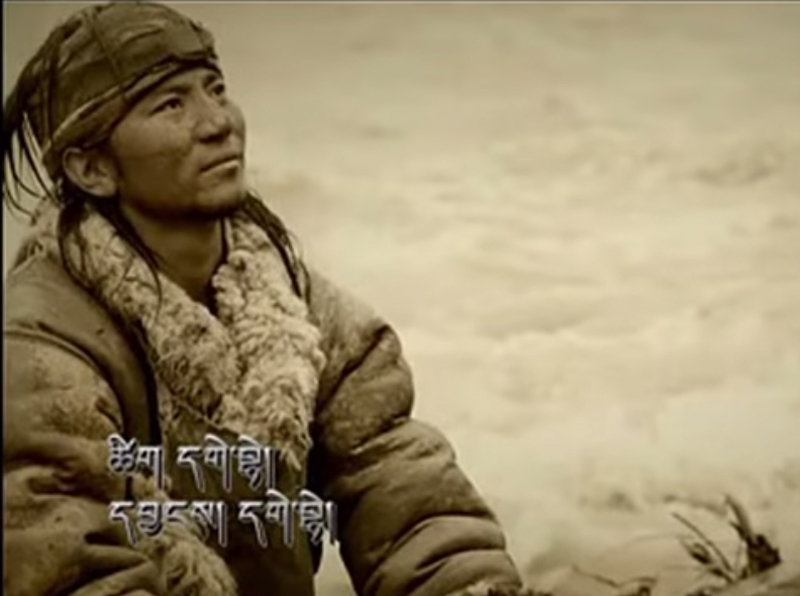 Duldak Nyima, a Tibetan who is living in exile but continues to be in touch with Tibetans in Tibet, has been quoted as saying that, “Before the release of the album, [other Tibetans were worried about] the album’s consequences and advised the singer against distributing it.” Although Tibetan singers rarely provide direct commentary, instead letting the work speak for itself, the album’s DVD features Ugyen Tenzin speaking openly about his reasons for releasing his album. “[Tenzin] also said in the DVD that he is doing this for the religious and political cause of Tibet; he was … discussing the Tibet issue and Tibetan identity ,” said Nyima. Despite being aware of the consequences, Ugyen Tenzin released the album. His whereabouts are currently unknown. The censorship of music within both Tibet and China has been known to reach absurd heights. In April 2011, China’s State Council Information Office issued a directive for websites to delete Shapaley – a fun and clever viral rap video by Gamahe Danzeng, a young Tibetan from Switzerland, about Shapaley, a kind of Tibetan food. The directive The Song Meat Pancake stated:  “All websites, particularly those with video and audio channels, are to look for and delete the song ‘Meat Pancake (Rou bing)’ by Gamahe Danzeng,” While not explicitly political, the lyrics asserted Tibetan identity and imbued a sense of pride in being Tibetan – sentiments clearly not to be tolerated. These detentions show that songs carry potential risks at every level, from the producers of the music, to those who acquire the music, to those who then share it. Further, detentions do not require a trial or to be processed by a government agency – as with this case, if the local police chief perceives a work to be “sensitive,” its author is subject to punishment. Since the end of 2012, the online translations project High Peaks Pure Earth has been translating music videos from Tibet on a weekly basis. [Editor’s note: The author of this post is a founder of High Peaks Pure Earth.] The project translates music videos of various musical styles and genres – some are highly politically sensitive, while others are widely available all over Tibet, but they are all popular videos that have all been available online at one point or another. 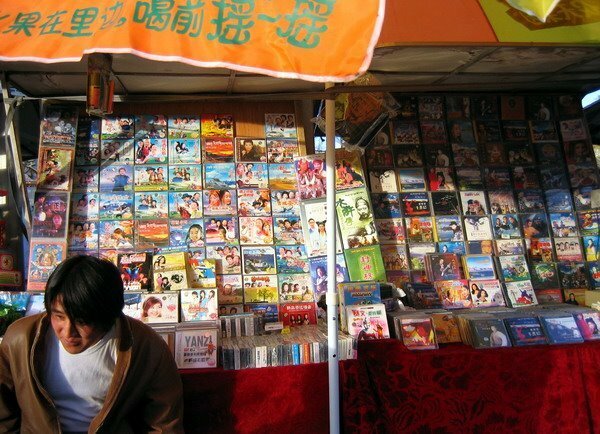 Music for sale in Lhasa. Photo from Woeser's blog. Used with permission. It is therefore quite moving to see Tibetan singers taking on this role as unofficial spokespeople for their society. Their work does not come from a standpoint of anger or bitterness, but from an immeasurable pride in Tibetan history and confidence in their convictions and in Tibetan identity. How you can help: Sign UK-based organization Free Tibet's petition ; and follow the “Banned Expression” Facebook  page by Voice of Tibet, High Peaks Pure Earth and Tibetan Centre for Human Rights and Democracy. This story was commissioned by Freemuse , the leading defender of musicians worldwide, and Global Voices  for Artsfreedom.org . The article may be republished by non-commercial media, crediting the author Dechen Pemba , Freemuse and Global Voices and linking to the origin.